Ep 416: Godfrey Cheshire Returns! Richard Edson Never Left! [5 mins. 40 secs.] Film critic & filmmaker Godfrey Cheshire returns to the podcast for his 3rd visit to discuss his first book which is on the subject of Iranian film. Titled In the Time of Kiarostami: Writings on Iranian Cinema, Cheshire is in the midst of an Indiegogo campaign to raise money to make this happen. As an early champion, Cheshire is largely responsible for bringing Iranian cinema to the States, and as a result created a strong relationship with Kiarostami as well as other key filmmakers from that country. It's all in the book. [40 mins. 40 secs.] 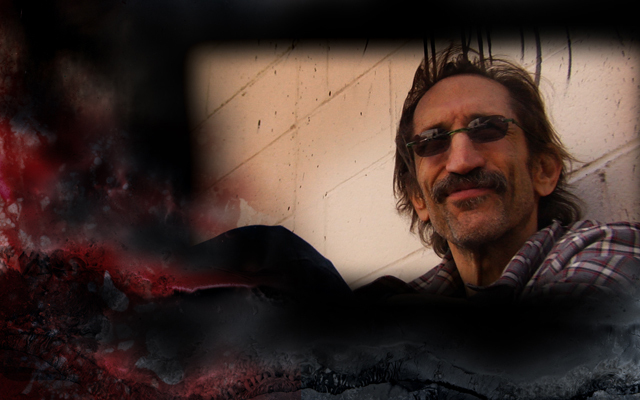 Then Part 2 of a phone call with filmmaker/actor/musician/photographer Richard Edson ("Stranger Than Paradise", "Do the Right Thing"); Part 1 was on Episode 336. Edson discusses his experiences working in Hollywood after a successful string of indie films back in the mid-80's into the early 90's, as well as his own filmmaking. Music on this episode is by Bleu from his recent album, To Hell With You, available where music is sold, downloaded or streamed.